Just as your website needs to be optimised for search engines to stay on the top of the search results, your apps also need to be optimised for the main app stores so that you’ve got a good chance of appearing when someone searches for a related keyword. App store optimisation or ASO (sometimes known as app store SEO or mobile app marketing) is the process of optimising your app listing on iTunes, Google Play and the Windows app store to improve its ranking for your targeted search terms. This not only means that you’ll get more app downloads, but it can also help to improve your brand exposure and acts as another channel for diversifying your marketing strategy. If your app is your main product or forms a major part of your overall marketing plan, it’s obviously important that as many people download it as possible. Your app can’t just another branch of your marketing strategy, or a side project that doesn’t generate revenue directly, appearing high in app store searches is key for customer engagement and loyalty. In fact, customers who download apps tend to be more loyal to the brands they download. Users spend, on average, up to 24 minutes in an app, but only around 5 minutes on a website. Apps are also used more frequently – phone apps are accessed around 10 times a month on average, compared to less than 4 times for mobile websites. Despite the importance of app store ranking, App store optimisation still tends to be overlooked as a marketing strategy. In fact, most app publishers are not investing in ASO or aren’t even aware of it. This means that you’re at a huge advantage once you learn and start implementing the basics of app store optimisation. If you already know a bit about SEO, the mechanics of ASO will be somewhat familiar to you. Indeed there is some overlap between SEO and ASO and a lot of traditional SEO tactics also apply to ASO. Just as Google and other search engines use an algorithm to rank websites on a number of different factors, app stores use their own algorithms that rank apps based on factors such as quality, reviews, engagement, downloads, and age. This makes total sense – if you search for an app, you’d want the “best” one to appear first in the app store. An app that has thousands of downloads and 5-star reviews is probably a safe bet. However, this doesn’t mean that new apps have zero hope of achieving a high ranking because they don’t yet have much user engagement. The algorithm must balance these factors fairly to give new apps a chance to succeed, and this is where we can use an app store optimisation checklist to get a head start below or even enrol in an online app store optimisation course. Just as in traditional SEO, your ASO strategy should start with keyword research to make sure you’re targeting the right keywords for your audience. Your future app users will be searching for these keywords so it’s vital that you identify and optimise for them. Keep in mind that different app stores use keywords in slightly different ways. For example, in the Apple app store, it’s most important to make sure your keywords are included in the title and subtitle, and there’s also an additional “keywords” field to fill out. The Google Play store looks for keywords in the description in addition to the title, so you need to make sure your app description is optimised too. You probably already have a good idea of the keywords that users will be typing in to find your app. You can also use traditional keyword research techniques and even use free keyword research tools to expand your list. Try to think like one of your customers and imagine the words and language they would use when searching. You can also check your competitors for the keywords that they’re targeting, but of course, you’ll need to assess how competitive each term is. 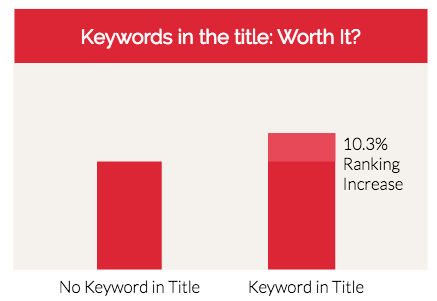 You could use a metric such as keyword difficulty to go after a set of related keywords with less competition than a couple of highly competitive keywords. But the most important consideration of all when doing keyword research is searcher intent. There are several tools designed specifically for keyword research for apps – more on this below. Just as when you’re in the process of doing SEO for a website, it’s easy to overlook the fact that you’re trying to attract human beings, not just search engines. While it’s important to include your identified keywords in your titles and descriptions, you must also craft them in a compelling way so that your link is more likely to be clicked on and your app is more likely to be downloaded. Your app description page should not be meaningless keyword-stuffed junk, but rather useful information that answers your customers’ questions and persuades them that your app provides a solution to their problem. Many users don’t read the entire app description so focus your efforts on the first three lines. Make sure to include app updates in your descriptions – this not only indicates fresher content to the algorithms but also shows users that you’re regularly updating the app. When looking at a page of results in an app store, your icon will stand out to the user more than your app name. For this reason, it’s vital that you have an icon that stands out and looks appealing. Different app stores have different standards for size and colour scheme so you’ll have to design a slightly different icon for each. In all cases, you don’t have a lot of pixels to play with and simple designs with bright colours tend to do best. Have a browse through the app store and see what designs your competitors are using and which icons stand out most to you. Icon design is one area of app store optimisation where it often makes sense to hire a professional. Your app screenshots don’t have a direct impact on your ASO, but they can increase the number of downloads, so it’s important to include them. Users can get a better idea of your app from screenshots rather than a text description alone. Include screenshots of the major features in your app and consider including a video too. App stores reward developers for regular updates and content freshness so it’s important to make small edits to your listing regularly. In fact, there are some tasks that you can complete daily to give your ASO a little boost. As well as updating your description when you make software updates to your app, take the time to respond to customer reviews. You should, of course, also take note of negative feedback and use it to improve your app in future updates. Try experimenting with different app titles, icons, and screenshots. Simple A/B split tests can help you to identify the language and imagery that is most appealing to your audience and can greatly increase your number of downloads. Keywordtool.io is a free keyword research tool that includes a module for finding keywords via the iOS app store autocomplete. If you’ve already done keyword research for your website, you’re probably familiar with how you can use Google autocomplete to find terms that people are actually searching for – the app store keyword tool works in the same way. You can put in a single keyword tool and get hundreds of keyword ideas back. These may include some real low-competition gems that you’ve not considered before. Gummicube is an all-in-one mobile marketing tool that helps you perform keyword research and optimisation, attracts more reviews for your app, allows you to run A/B tests, and provides analytics software. App Annie is primarily a competitor intelligence tool that helps you to discover new keywords, track your competitors, improve your app store optimisation, and drive engagement. Just as with traditional SEO, ASO has both on-site and off-site factors. Once you’ve optimised your listing in the app stores – the on-site factors – you want to make sure that you’re optimising off-site too. When you’re optimising your website, this basically comes down to links – the more quality links you have to your site and the more powerful these links are, the higher you can expect to move up in the search engine rankings. The concept is similar for ASO – you can and should create links to your app store listing from your website, social media, and as many other quality sites as possible. However, the main aim here is not solely to build links, but rather to increase your number of app downloads, ratings, and reviews. The number of downloads your app has is a huge ranking factor so if you can boost downloads from outside the app stores, this will also have an effect on your ranking within them. Essentially you want to promote your app in any way possible – this may include building a promotional website for your app, posting about it on social media, conducting SEO and PPC campaigns, and using other forms of content marketing and advertising to drive as much traffic to your app as you can. You can also encourage more shares on social media with competitions, special promotions, and other incentives. To boost downloads when you first launch your app, make it free for a limited period of time. Don’t forget to ask for reviews within the app. Using push notifications to prompt users to leave a review after a certain amount of time or number of sessions within the app can greatly increase your user engagement. So how do you know all your ASO efforts are actually paying off? As with any aspect of your marketing strategy, you want to make sure that the ROI is worth your time and money. 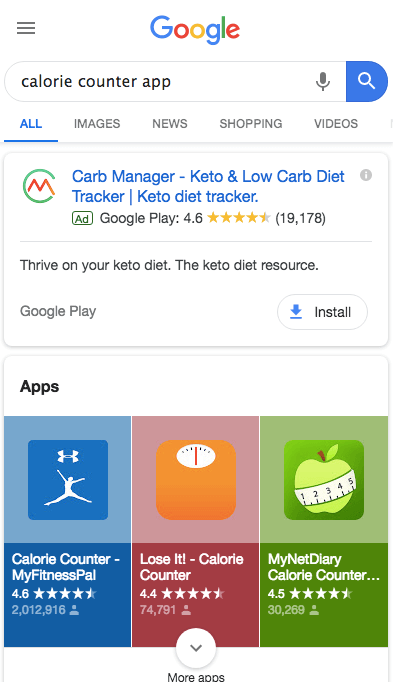 Keyword ranking – once you’ve identified what keywords you want to target, you can track your app ranking in each store for each individual keyword. Take note of your position the day after you release your app and check periodically to see if your ranking has improved. Downloads – as your ASO strategy progresses, your app download rate should increase. Keep track of your download rate on a regular basis to see how it changes over time. Conversion rate – your conversion rate, or how many people actually download your app after viewing its listing, is definitely something you can improve with ASO. This is also often one of the easiest things to change, enabling you to squeeze more downloads out of the same amount of traffic. Impression rate – your impression rate shows you the number of times your app has appeared in search results for all queries. This is a useful parameter to check as you may start ranking for keywords you’re not even targeting. A big increase (or decrease) in your impression rate is worth further investigation. While some of these KPIs are easier to track than others, there are ASO tracking tools available to make the task easier. In any case, you should start tracking as soon as you launch your app and set regular intervals to check for improvements so you can see if your ASO strategy is working or not.